Harmful bacteria top the U.S. Department of Agriculture's public enemies list. The USDA advises against eating and tasting raw or undercooked meat. The site recommends thorough cooking to kill whatever bacteria and viruses may be lurking in the meat — making steak tartare a gastronomical outlaw. Foodborne illnesses can be quite serious, however; the Centers for Disease Control and Prevention estimates that each year approximately 48 million people in the United States get sick from a foodborne illness, 128,000 are hospitalized and 3,000 die. One of the ways to stay safe against spoilage bacteria is to identify when meat has gone bad before it lands on your plate. Afraid your rump roast might've gone bad? Sniff it. When bacteria break down the meat, its odor changes. The putridity of the smell will escalate with the level of spoilage. If you notice the scents of other foods on raw meat, however, the unusual food odor could be due to storing it next to onions or other pungent fare. For the love of all that's edible – do we even have to say it? – don't eat meat with mold on it. Mold can be detected on the surface, but that is only a partial indicator. "When a food shows heavy mold growth, 'root' threads have invaded it deeply. In dangerous molds, poisonous substances are often contained in and around these threads. In some cases, toxins may have spread throughout the food," says the USDA. Raw meat that hasn't yet grown a toxic fungi garden may still be spoiled and look gray – give it a smell and touch test to make a final decision. Slimy, squishy unprocessed meat is not safe to eat. Slimy, squishy processed meat, however, may simply be Spam. (Not judging – though processed meats have been labeled a carcinogen by the World Health Organization and linked to cancer.) The texture of raw meat, along with the sight and smell tests should give you a good idea if it is or isn't safe to eat. 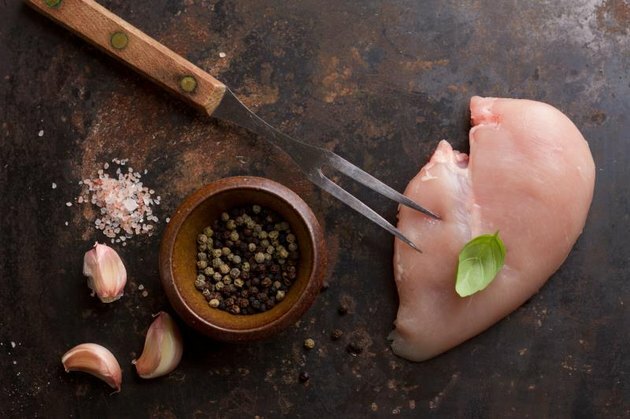 So you ate some sketchy meat, and now you're paying extra for it? Signs that you've eaten contaminated meat include: abdominal cramping, bloating, gas and nausea. If the contamination is bad enough, you have vomiting and diarrhea to look forward to. Salmonella and E. coli can also cause intestinal bleeding, resulting in bloody diarrhea. Food poisoning can be life-threatening, and those with the most severe cases may need to be hospitalized. When in doubt, let the expiration date on the meat packaging make the call. 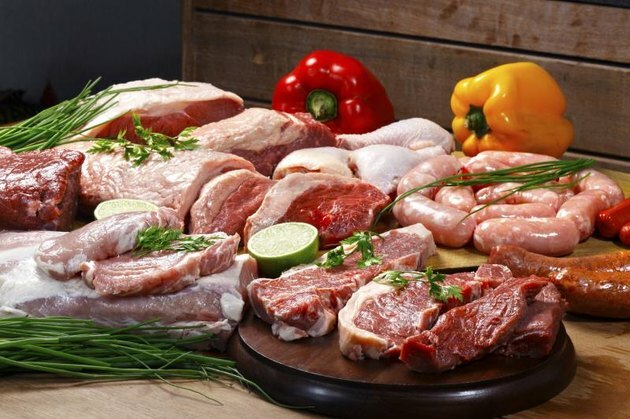 If you purchased the meat from a shop that provides a "sell-by" date but no "use-by" date, a good rule of thumb is to use or freeze fresh beef, veal, pork and lamb within 3 to 5 days of purchase, according to the USDA. Chicken, turkey, ground meat, ground poultry, raw fish and shellfish should be cooked or frozen within 1 to 2 days of purchase. Foods will keep indefinitely in the freezer. 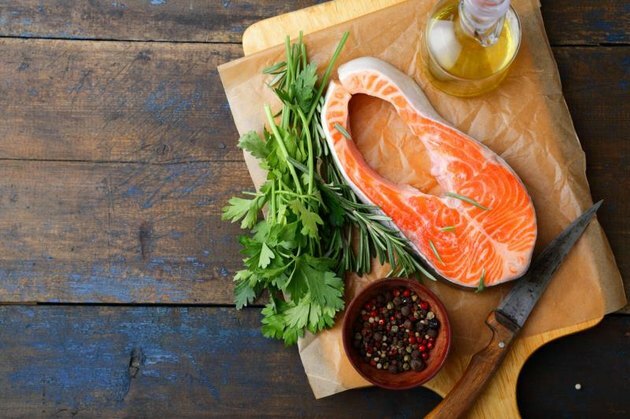 Unfortunately, not all food contaminants can be detected by sight, touch or smell, including dangerous salmonella, E. coli, C. botulinum and dangerous mercury levels in seafood. To stay safe, FoodSafety.gov recommends avoiding "high-risk foods, especially undercooked ground beef, unpasteurized milk or juice, soft cheeses made from unpasteurized milk or sprouts." And wash your hands before and after handling food as well as during food prep (to avoid cross-contamination between raw meats and ready-to-eat foods, such as raw fruits or vegetables). 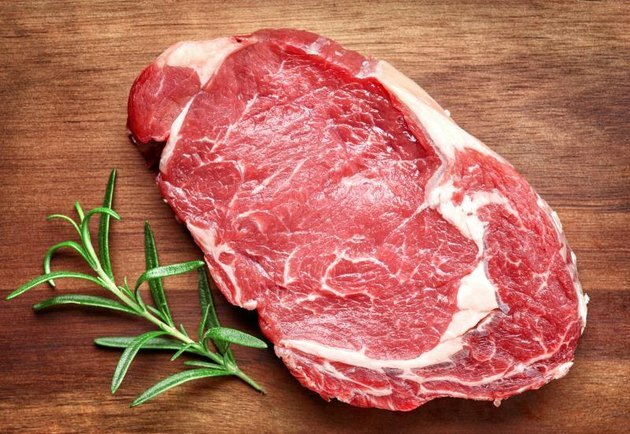 The USDA recommends cooking all raw beef, pork, lamb and veal steaks, chops and roasts to a minimum internal temperature of 145 F; all ground beef, pork, lamb, and veal to an internal temperature of 160 F; and all poultry (whole, pieces & ground) to an internal temperature of 165 F. Also, refrigerate uncooked foods while defrosting and before cooking because at room temperature, bacteria in food can double every 20 minutes. USDA Food Safety and Inspection Service: Molds On Food: Are They Dangerous? Ask Karen - How can I tell if chicken is spoiled?